← Relief for Arthritis pain. These are decisions we all have to make. See my section “Plan the end of Your Life” on my web site. With the aging of the population, medical resources are finite and many with serious and curable diseases may not be able to afford the necessary treatments. Governments may have to reduce medical staff and hospital beds due to budgetary restrictions. This article therefore becomes an important talking point for us all. On the eve of a federal budget looking for savings, I would like to report a medical intervention that reduces suffering, can prolong life and dramatically reduces health-care costs. The intervention itself costs nothing. But first, a story. Jim was 78 when, on an empty road, he drove his car at 100 kilometres an hour into a tree. Maybe he’d had a minor stroke – he’d certainly had others due to vascular disease brought on by a lifetime of smoking. He was badly injured – limbs, pelvis, chest, intestines – and, on paper, had no chance of survival. His doctors had two options. a) Talk to his family, establish any wishes or preferences Jim had expressed, assure them that he would receive the best of comfort measures and allow him to die in a quiet room. b) Operate on all the fractures and ruptures, keep Jim on a ventilator in an intensive care unit for a month (during which time he would have more money spent on his health care than he had contributed in a lifetime via the Medicare Levy) and hope that he would beat the odds. He didn’t. I know because we chose b. Or rather, in the absence of a conscious effort to choose anything, b just happened. In acute care (where Jim arrived after his accident), heroic management is the default setting. This “do everything default” is a heady mix of historical, ethical and legal elements. It includes acting under the principle of necessity (the notion of “emergencies”), technical imperatives (a belief that because we have the technology we are obliged to use it in all cases) and medical imperatives. These are unnuanced notions of duty rooted in a parentalistic version of beneficence – medical ethics reduced to a bumper sticker. It takes about one minute to treat a patient according to the standard default (admit-operate-ICU), and about two and a half hours to have a proper discussion with the medical teams, the patient and the family. It’s not surprising that the default generally wins out. The truth is dying is not only scary but also scarily expensive. It’s widely known that the last year of our lives is when the most health-care dollars are spent. It’s less well-known that essentially all of this is spent in the last 30 days of someone’s life. As in a war, it’s the last, futile battle that is the most costly, in a number of ways. Because the costs of dying come in many forms – financial, opportunity, emotional and physical, all borne variously by the individual, the family and society. Though not all of us are destined to die like Jim, most Australians will die in acute care hospitals, and almost all will be suffering from chronic, incurable diseases. Which is, of course, not a good fit for an acute care system founded on the duty to rescue and to cure at all costs. This modern conundrum arose from the rapidly shifting demographic: as we die at an older age, so we die of relapsing chronic diseases. And each relapse results in an admission to an acute care hospital, where we ultimately die. At the same time as this demographic shift, we have seen the rise of patient autonomy – all previous notions of “best interests” and “futility” now are largely resolved around establishing what the patient would have wanted. Talking to patients and their families, and taking into account their wishes is now an expected part of health care. Before 1980, medicine largely revolved around a “doctor-knows-best” approach. The notion that decisions were to be negotiated with patients and their families started with a series of high-profile legal cases in the United States. The first “Do Not Resuscitate” orders appeared in the late 1970s, and the first mention of “informed consent” was in 1980. Acute care hospitals are ill-prepared for this new role as the default place of death for the elderly; few have any systems in place to recognise the signs of dying early enough to have chance to provide palliation. 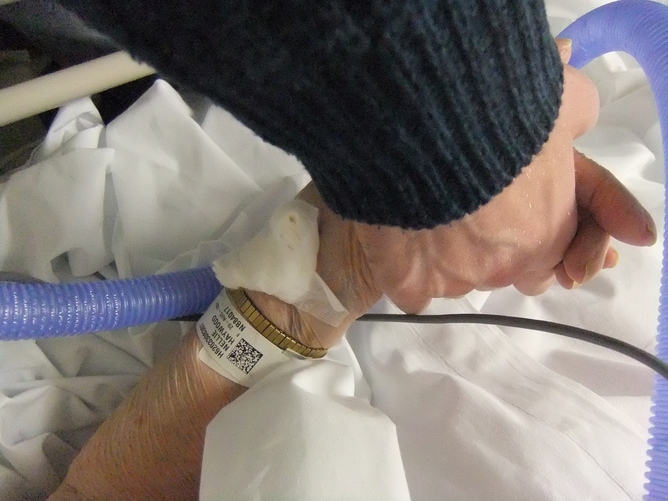 Indeed, for two-thirds of the people receiving acute care, dying is only recognised on the last day of life. Nor are attempts routinely made to establish what the wishes of the patient would have been. There’s now abundant evidence to back up the extravagant claims I made at the start of this article – we can prove that talking to patients and their families reduces stress, that dying outside an intensive care unit is cheaper and less painful, that cancer patients managed palliatively may out-survive those treated more aggressively, and that talking about death in advance is associated with both lower cost of dying and a better death. So what is this is this marvellous, free medical intervention? Maybe you have guessed by now – it’s just having a conversation. A conversation that starts when you are in your final years, that asks about your goals, and about who would speak for you if (and when) you lost the capacity to speak for yourself. A conversation that continues through hospital admissions, where your doctors and nurses expect to work with you, as well as for you. This conversation rarely happens without support. The success of the Respecting Patient Choices program, which takes a systematic approach to initiating this conversation in both acute and residential care, is due the way it trains people to introduce and continue this dialogue. Clearly any conversation needs two sides. We need to understand that our deaths will not be with a bang but with a series of diminishing whimpers. We can all start now: ask yourself “who will speak for me when I can’t speak for myself?” Then “what do I need to say to this person?” The role of acute care is to systematically pick up this conversation, to routinely ask for this information, and to have ways to translate this into forms intelligible to the acute care system. It’s the eve of a federal budget. You can almost hear the snap of the public purses closing all over Australia. There is a win–win out there, a conversation that can improve care and save an enormous amount of money. Can we afford silence?